Call all your friends on your Shellaphone! Start typing out lots of coconut Shellagrams! There’s a new Shelling Cruise in town! 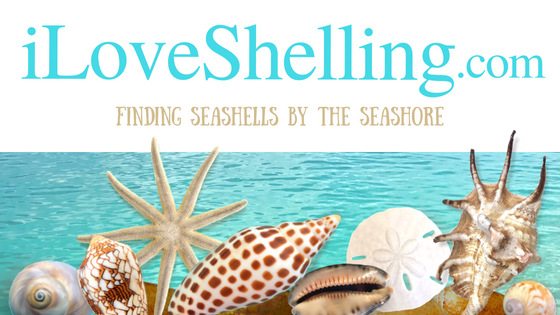 Join me on our FIRST iLoveShelling cruise to this new area for a Shellsational Maiden Voyage on June 24, 2014 at 4pm for a four hour fabshellous tour. It’s going to be a blast! You’ve asked about this area when I posted “Boating and Beach Combing Near Lover’s Key” last December when Clark and I went in our own boat, remember? With a great shell strewn stretch of beach to keep you stooping. On the boat ride to the beach during the Shellsational Maiden Voyage, I’ll tell you insider info about this special shelling hole and Super Sheller Clark will give out his shell secrets as well. AND there will be a few surprises to shellebrate this awesome experience (gifts! )… all while looking out for wildlife like these DOLPHINS Clark and I spotted the last time we went there by boat. Join me on June 24th for the Shellsational Maiden Voyage kick off or for any of the iLoveShelling special events (click here for dates) or hop on the Sight Sea-R Cruise boat any Wednesday at 10am from June 11 through August for a shelling adventure to remember. Don’t miss the boat! Sign up now CLICK HERE. Just purchased tickets for the July 16th cruise for me and hubby man. Cannot wait to see you and go shelling again. Cheryl- Yay!! I can’t wait to see y’all again! It’ll be soooo much fun. I won’t be there until Nov. 1st. Is October the last time out?! Hubby and I are all signed up for your maiden voyage on June 26th. Soooo excited! :). Looking forward to seeing you again, and exploring a new spot! hahaha- i was just writing you back, Holly, to make sure you put the 24th on your calendar. Yay! So excited you will be there! I would love to book the August 27th trip but after reading the agreement I was concerned that I would not get my money back if the trip was canceled due to weather. I will be in Florida Aug. 26-Sept. 3 and if the trip gets rescheduled I may not be there. What would you suggest I do? I do not want to miss it! Hopefully there will be a cruise for Nov.– I might be able to do that boat, no ladders. I would like more Rose Petal Tellins and everyone can use more wormies. This sounds great! None of these dates will work for me, but will definitely keep watch for the future! Sounds fun! Ken and I signed up for your maiden voyage. Looking forward to spending time with other shellaholics and exploring new beaches! Thanks, Pam. I will sign up tomorrow! Looking forward to another great shelling adventure with you. May the NW winds be with us. Hey Pam, Can you tell where this cruise goes? Id be interested in joining you for the June or July trip, as I will be down there for a month or more. Last year we got rained out when we went to Cayo Costa with you, so want to try again! We spent the weekend in Bonita Springs and got to shell at Big Hickory Island. We found tons of wormies! And a few other little treasures! Darn..I am either a week early or a week late to join you on your adventures. One of these times I will make it. I booked june 24th. Cant wait! SO happy to have found your interesting, informative and fun blog! I was also delighted to see we are arriving just in time for the July 16 cruise! I’ve just booked for our party (my mother, my daughter and myself) . We travel together for our summer holidays and love beach combing for shells which is why I booked Sanibel this summer. Will be visiting Sanibel October 2015. Hope you have some shell cruises when I am there. It would definitely be on my bucket list. Hoping I will be able to see a schedule before I book our vacation that way I can go on one of the cruises. Pam, we will be visiting the Sanibel/Orlando area for one week in April. My kids (6 and 8 year old girls) have been watching your shelling videos oncruise with you. Do you know what day of the week you will be going out on a cruise between April 5-12th? I would really like to secure our hotel room ASAP. Hi Irene, I’ve been working on shelling cruise dates for March April and May… I hope to post them soon. Hopefully today- Thanks so much for asking!